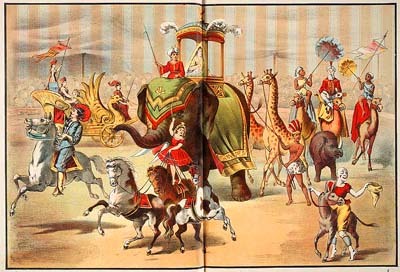 Ladies and gentlemen and children of all ages, now draw your attention to the center ring and feast your eyes upon a beautifully produced circus book for children and a minor masterpiece of chromolithography published in 1882. 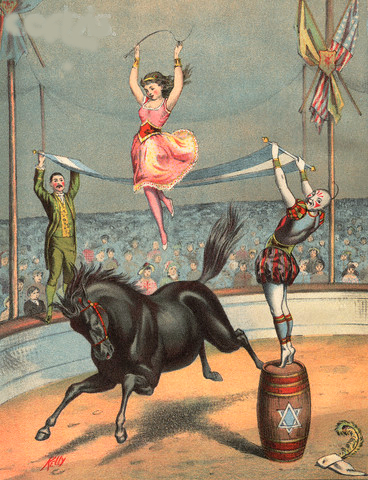 Cue the calliope, the Children's Circus and Menagerie Picture Book is here. Let the Grand Procession begin! 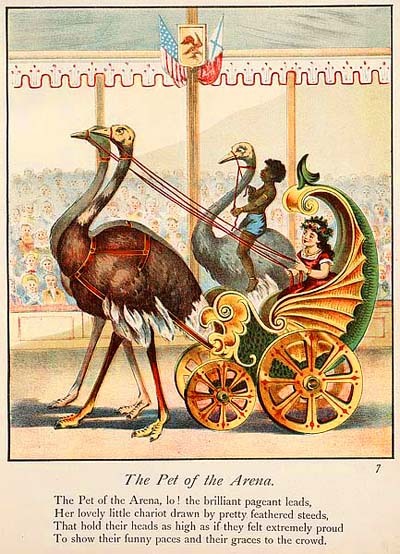 See large, strange, flightless birds pull the magnificent coach of the Pet of the Arena! 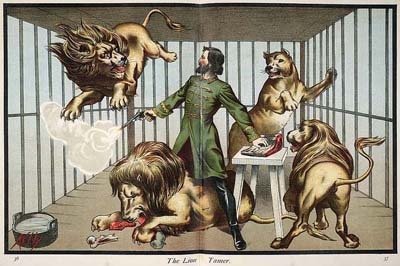 Witness Leo the Flying Lion soar while his brother, Leonard, eats the last lion tamer to trespass! 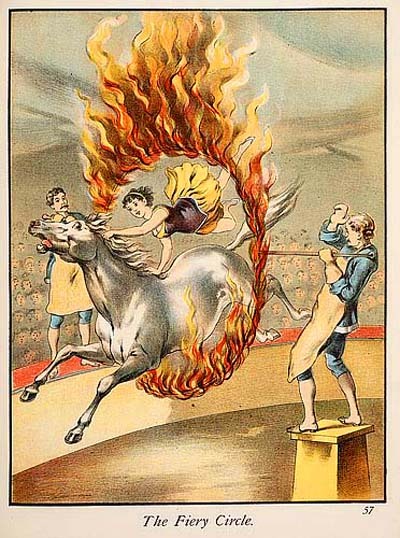 Espy the consequences when horses play with matches, and the equestrian-infatuated young girls who enable them! 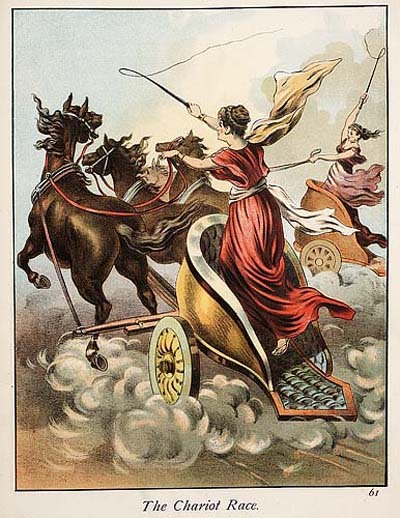 Apprehend classical chicks racing chariots, Nikes without wings! Behold the Eighth Wonder of the Modern World, Mandrake the Amazing Multi-Tasker! Shot out of a cannon. Get an eyeful of unregulated firearms and the women who love them! 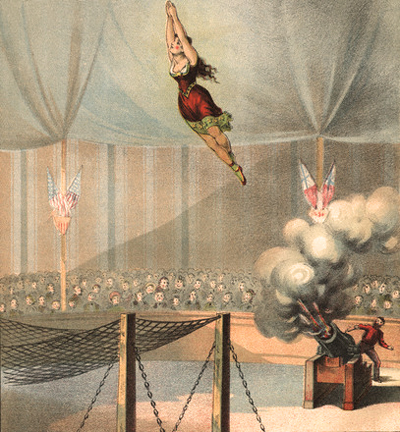 Get a load of Cassandra the Flying Hatton and her death-defying gymnastic feats upon horseback while a clown in a tutu and toe-shoes atop a kosher dill pickle barrel mugs for the audience! Or, just sit back and enjoy a book that rarely comes into the marketplace in decent condition. Children read and played with this book until it turned to smithereens. Its illustrator, Robert Talbot Kelly (1861-1934), was an English orientalist landscape and genre painter, author and illustrator known primarily for his illustrations to books on Egypt and Burma for A&C Black. and for Slatin's Fire and Sword in the Sudan (1896). [BALMIRE, Joseph L. (editor) and Robert Talbot Kelly (artist)]. 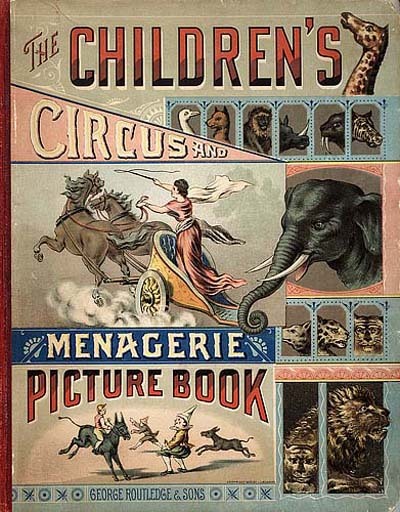 The Children’s Circus and Menagerie Picture Book. London: George Routledge & Sons, (1882). First edition. Small folio (10 x 13 in; 260 x 330 mm). 64 pp. Fifteen chromolithographed plates (two double-page) "drawn on stone & printed in colours" by Wemple & Co. of New York, miscellaneous b&w plates. Pictorial cloth. Osborne Collection of Early Children's Books 1476-1910, p. 625. 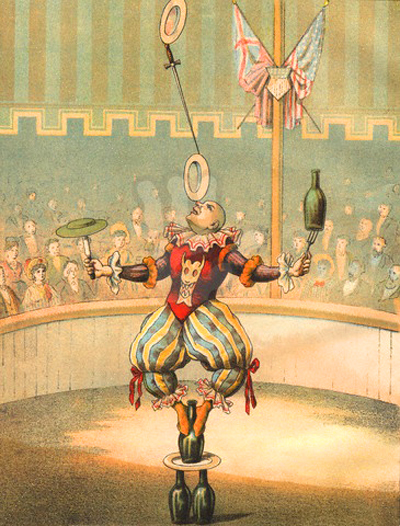 Images courtesy of the Toronto Public Library online.